The 2019 Subaru Ascent has had Subaru fans excited since its debut early in 2018 during the Auto Show circuit. The Ascent is officially in production and is expected to land on Subaru lots later this year. Now that it is in production, the Ascent has been through its first round of critic test drives. We rounded up some of the highlights – here’s what the reviews are saying about the all-new 2019 Subaru Ascent. Inside the 2019 Subaru Ascent is a roomy cabin with serious flexibility. A review by caranddriver.com claimed that the Ascent offer “one of the most accommodating cabins in its segment.” There are 153.5 cubic feet of passenger space, positioning the 2019 model near the top-of-class for SUV space. The Ascent offers three rows, with the option of captain’s chairs or a three-place bench for the second row. With the option of captain’s chairs, the seats can slide forwards and back, offering either extra legroom for the passengers or easy reach to the front row of seats. They can be pushed to sit flush with the front row, which is ideal for families with small children they need to be within easy reach. 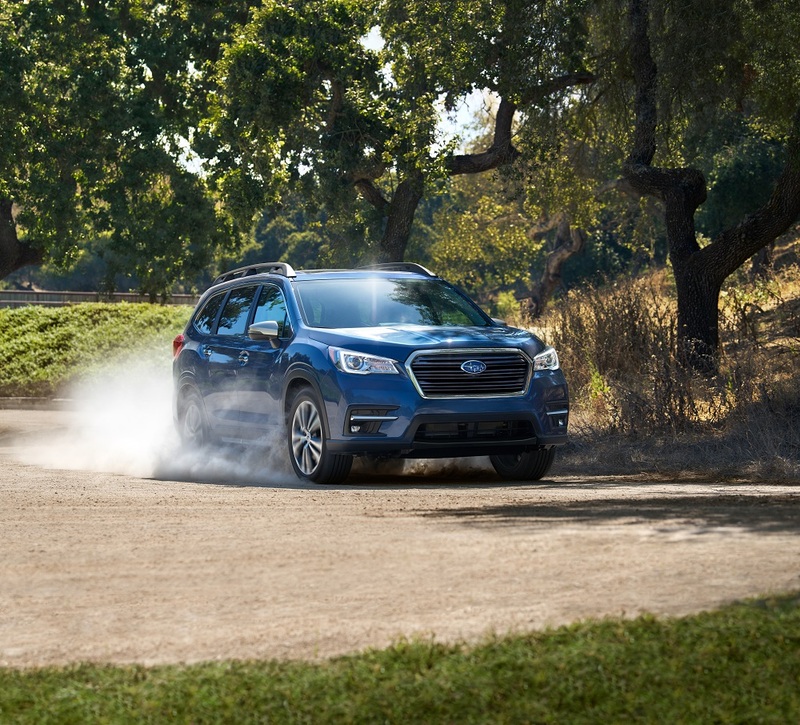 According to Digital Trends, “the Ascent handled twisty back roads much better than any SUV of this size should ever be expected to.” Thanks to the Subaru BOXER Engine, the Ascent has a lower centre of gravity than most other SUV models. The lower centre of gravity in the Ascent makes for superior handling even on the most uneven, twistiest roads – typically not something expected in an SUV of this size. Planning a family vacation that requires some towing? Not a problem for Subaru’s newest SUV. The Ascent is positioned near the top-of-class for its maximum tow rating. The Ascent can tow a maximum of 5,000 pounds, blowing most competitors out of the water. It even offers a Trailer Stability Assist system, which helps to ensure that the swat of the trailer is standard, making driving while towing easier. For more information on how to get yourself into Subaru’s new SUV, visit Subaru of Niagara today!